Diving right in, lets have a look at the website. 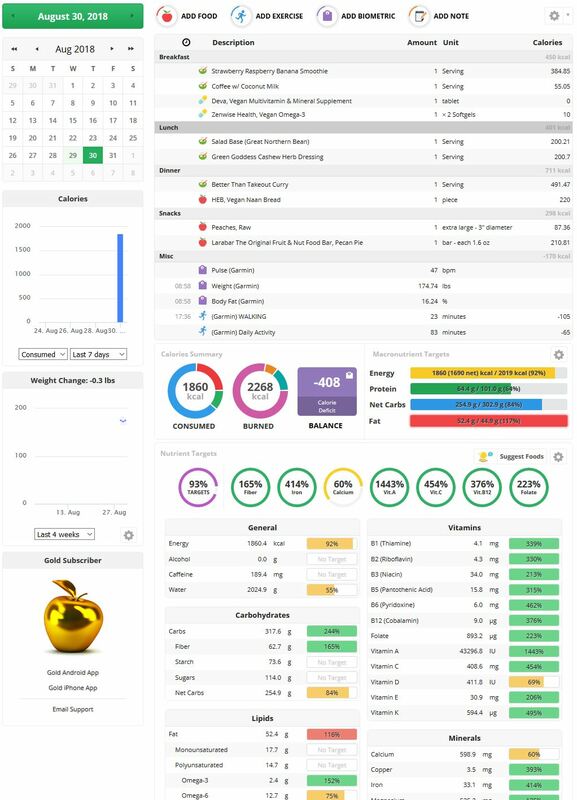 This is the primary dashboard when you log in, filled with today’s values for me so far. Since we’re making our own smoothies, salads, dressings, and meals – I’m adding them as recipes elsewhere on the site. 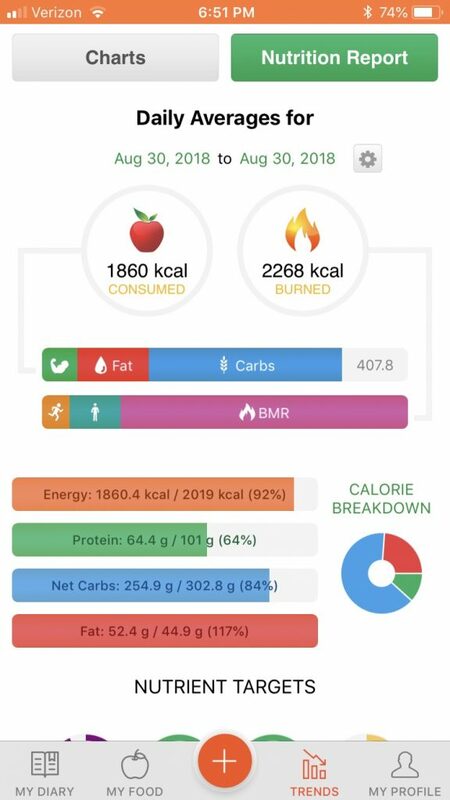 Note that the nutrient targets are colored according to whether you have hit your targets, and it gives you a lot more information than MFP does. So far today I am 92% on target, with the primary deficiency being calcium. 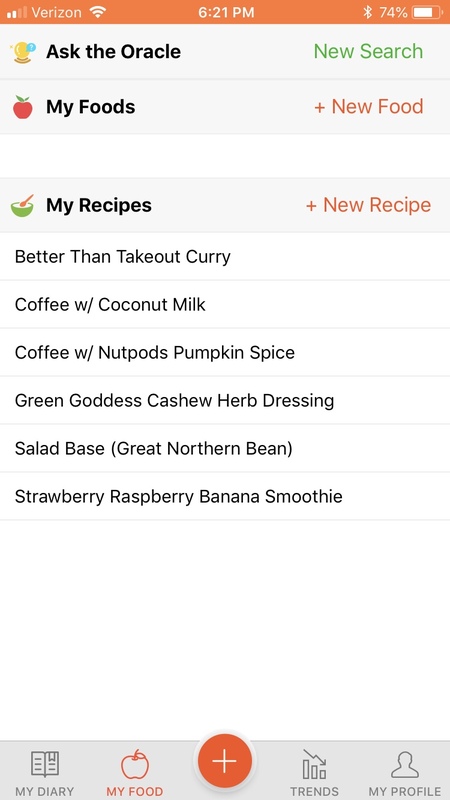 The process of adding custom recipes is a lot better here than on MyFitnessPal. This alone probably sells it, but the database which does not contain unverified user-submitted entries is a huge selling point as well — there should be far fewer inaccuracies. The database still has approximately 50K items from what I read, and I haven’t found anything lacking so far. 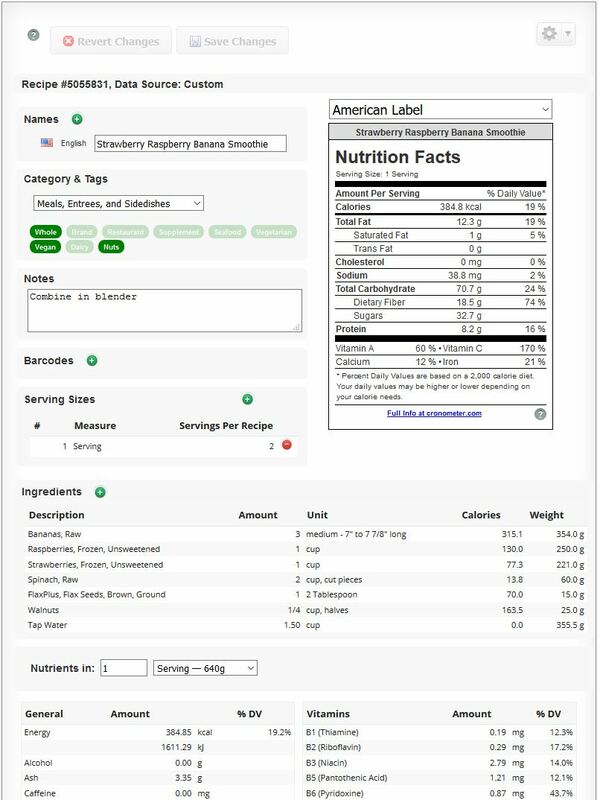 Creating recipes is simple, and the more controlled database should provide better accuracy. It notes micro-nutrient content, which MFP does not. You can access or create your own recipes, or of course find items in their database. 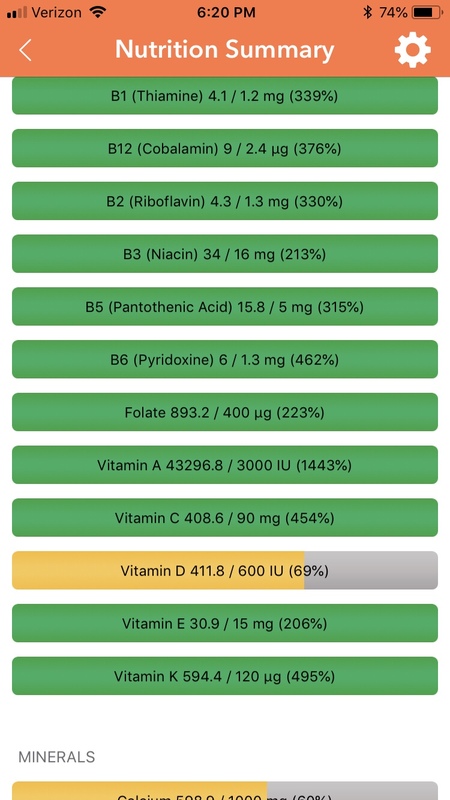 They also have an “Oracle” feature that suggests foods that will meet your daily nutrient goals. 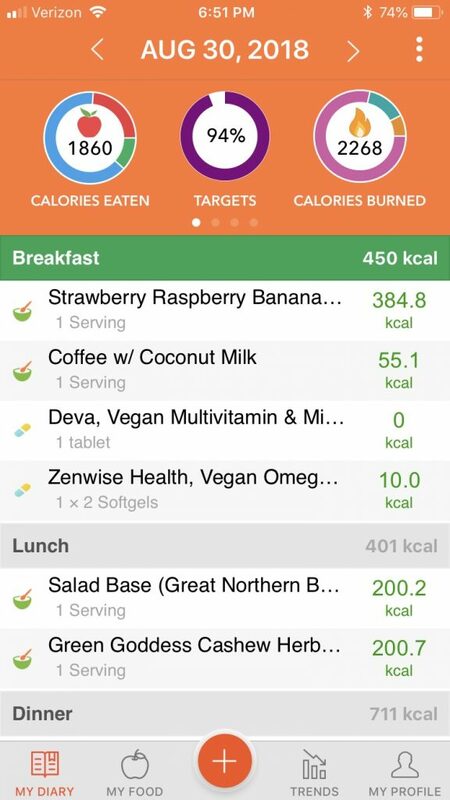 This app looks very promising, and I’m going to use it in place of MyFitnessPal for at least the next few days. There is no trial, but the monthly subscription is $5.99 so I can try it for less than a serving of fast food, and decide whether to keep it.